Being a Nigerian cryptocurrency enthusiast will make you understand that there is still a vast market for cryptocurrency in Africa that is yet to be discovered. Only a few of the public actually know about Bitcoin and far lesser number hold it. If cryptocurrency is still in its infancy, then it must be in its zygote form in Africa. Adoption is growing rapidly as organizations are working effectively to make cryptocurrency and the blockchain Technology known. There are blockchain based innovations that are from Africa like Interstellar (from Cameroon), Kurecoin, Cowrie, Sancoj, Luno, Remitano (from Nigeria), just to mention a few. But the adoption rate is still very low as only very few have the understanding of how it works and how to leverage it for their own good. 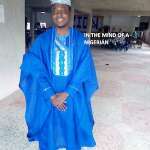 I am a graduate of Agricultural Engineering from the Obafemi Awolowo University, Ile-Ife, in Osun State Nigeria. I had my first encounter with blockchain technology through steemit.com while I was having my National Youth Service in the second half of 2017. I have been a fan of online business prior to this time with lots of scammy experience. Steemit.com gave me the chance to finally begin to earn for my contribution as it incentivizes bloggers. I started blogging on steemit but I did not care to know what blockchain was all about. A few months later, Utopian.io was started by a developer. It was built on the steem blockchain to reward people for contributing to open source projects on GitHub. I contributed lots of ideas to projects I loved, all of which are on the steem blockchain. I was introduced to other blockchain projects as I was pushed to think out of the box with some uninteresting experiences with steemit (steemit is still great by the way). I started writing for Blockchain start-ups February 2018. I got passionate about writing for blockchain start-ups because of the applications of blockchain technology after reading white papers seeing its potential. Before May 2018 I have read and written for more than twenty startups. This led me to create my own blog (Cryptostocksreviews) just to showcase the wonders (applications) of the blockchain Technology and was later interviewed on the advantages of cryptocurrency bounty hunting to low-income countries by Coindesk. The interview led me to begin to apply for top cryptocurrency publications so I can make my contributions to the cryptocurrency verse known. I got to know The Currency Analytics and later Sydney Ifergan towards the close of 2018 as I applied to be a contributor. It took some time to get replies from Sydney as he is a very busy man. But I was added as a contributor to FinancialReport24 a few weeks ago which was a milestone in my cryptocurrency writing career. As I got to know more about The Currency Analytics I began to understand the reason for the low adoption of cryptocurrency in Nigeria and Africa. This is lack of access to adequate, up to date and Authentic News. The minds of Africans have been engrossed long enough with fake news about cryptocurrency. This created fear for Bitcoin and anything related to online businesses. This fear was brought in by a lot of online scam businesses that filled the space in 2017. People lost so much of their money because of the scam and others because of greediness. Talk about cryptocurrency and they think it is one of those online scams that took away their money. Though there are no active laws against cryptocurrency, like in many other countries, banks advised against it. Only until recently when some political figures began seeing the opportunities. They have begun to sensitize the government about its advantages. But a lot of people in Nigeria still needs adequate, up to date, and authentic information and news about cryptocurrency. It will help to change their mind about the technology and adopt it whole heartedly. There has been no other project that can do this except The Currency Analytics. The Currency Analytics is a top google approved cryptocurrency news platform for real, up to date and authentic cryptocurrency news. The platform knows one of the effects of fake news in the world today which is adversely affecting the blockchain adoption in Nigeria today. And it is providing the right information (an antidote) to help them keep updated which can help them to take the right decision on their cryptocurrency holdings. Many people from the countries of the world think that Nigeria is filled with scammers. They have the right to think so because of their past experiences. But this does not mean it is not full of people who wish to know more and take advantage of the blockchain technology. All they need is access to the right kind of information through The Currency Analytics. 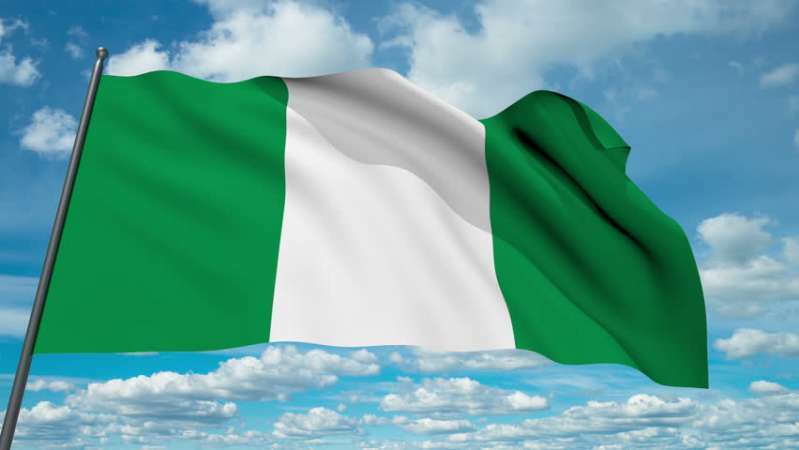 I am proud to be a Nigerian no matter the perception of anyone in the world and I am glad to be part of the first few to truly adopt the technology.